Royale has a new coupon! 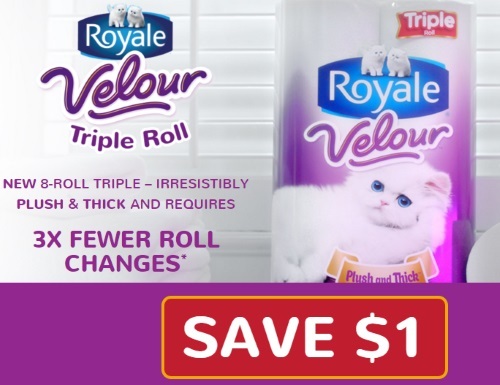 Save $1 off when you purchase Royale Velour Triple Roll toilet paper! This is a hidden Smartsource printable coupon. Available while quantities last. Limit 2 prints per computer.